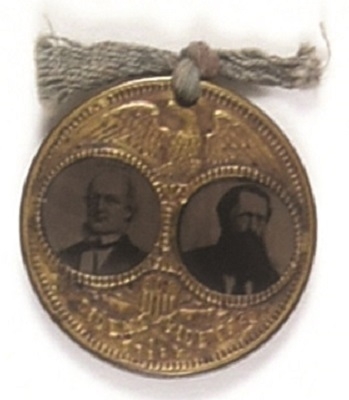 Horace Greeley and B. Gratz Brown are pictured on this very rare ferrotype jugate from 1872. Brass frame features an eagle and shield design with the words “President” and “Vice President” embossed at bottom. 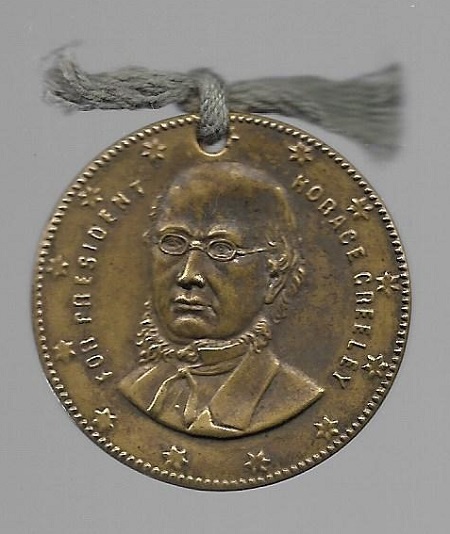 When you turn it over you get a nice surprise – the back features an engraved image of Greeley. It’s a 1 3/8 inch item, excellent condition.